Welcome, loved one! The information at this website is relevant to where and how you will spend eternity. 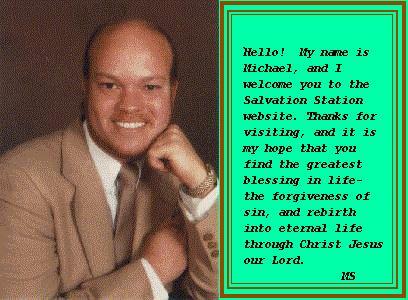 Here you will find the clear details about salvation that you can find in Christ-Jesus, who gives the gift of eternal life. All information here is based solely on GOD's word, the Bible, using the King James translation of the original Hebrew and Greek Scriptures. "I didn't come here representing a denomination. I'm not here defending a religion. I don't want you to buy anything. I don't have anything for you to sign."